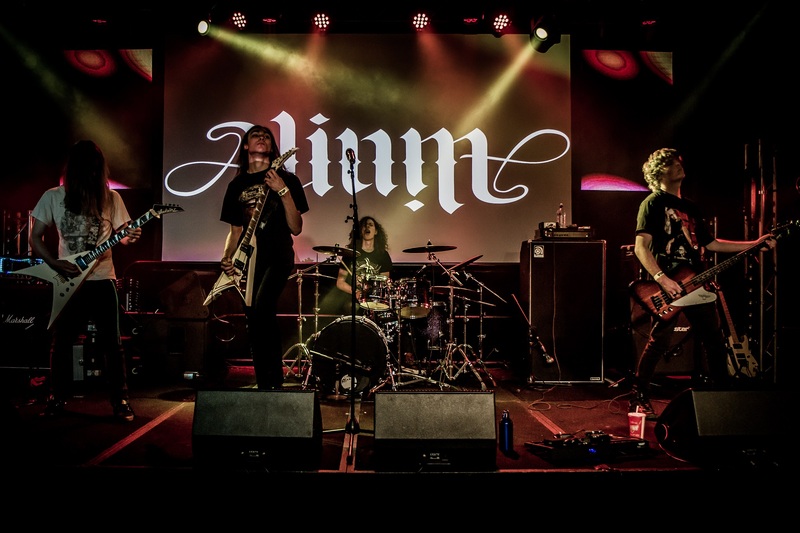 Adelaide’s metal newcomers Alium have been hard at work developing their sound and chops by appearing in band competitions and metal gigs alike for the past couple of years. Their debut single ‘Messenger’ was released on the 5th of January, and boasts modern fidelity (courtesy of Andy Kite from Against The Grain Studio) and a sound reminiscent of the likes of Trivium. ‘Messenger’ is a melancholic heavy metal tune five minutes, 14 seconds in length; sporting triumphant melodies, harmonies and peripheral regal aesthetics in the rhythmic delivery of the song. Moderate in tempo with conscious dynamics for the style, it expresses a reverence towards natural minor melody with dramatic portrayal—much like the heavy metal bands of the ’80s and ’90s. Vocals are emphasised with layered death growls on accented lyrics and guitars chug on eighth notes, taking a breath in the pre-chorus with long held chords giving the harmony space within the arrangement. The bridge that follows drops the dynamic completely stripping back to solo clean guitar and builds with a militant sounding snare before introducing lead guitar melodies and swept 16th-triplet triad arpeggios following the chord progression. All the satisfying elements of your essential metal track. Pumped from their latest release, Alium are heading back into the studio for another single release expected in March and they promise this one will be thrashier. You can listen to ‘Messenger’ via Apple Music and Spotify.